Online Degrees | Blog | What is OSHA? Occupational health and safety is an essential part of the modern workplace, though some industries are a lot more dangerous than others. U.S. employees rely on the strict standards set by federal agencies like the Occupational Safety and Health Administration (OSHA) in cases where hazards are an inevitable part of the day-to-day working environment. OSHA works to reduce workplace injuries, illness, and fatalities through education, compliance, and enforcement. Individuals looking to pursue a meaningful career in public health may benefit from learning more about this essential organization and how it has reshaped the modern workplace. OSHA was established in 1971 following a period of intense public outcry concerning U.S. working conditions. 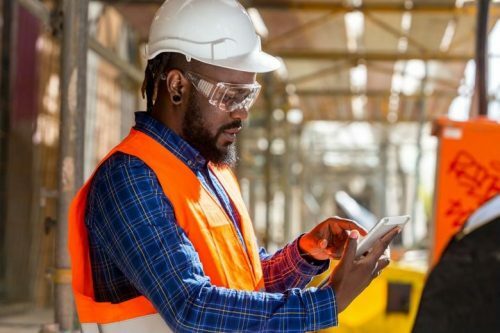 At the time, occupational injuries and illnesses were becoming increasingly common ― disabling injuries increased 20 percent over the decade and an average of 14,000 workers died on the job each year, according to OSHA estimates. Workplace hazards like deafening noise, poor ventilation of cotton dust, and exposure to asbestos were hotly debated, prompting government officials to seriously consider safety and health legislation. The Occupational Safety and Health Administration (OSHA) was given the responsibility of setting and enforcing workplace standards in an effort to reduce the frequency of injuries and illnesses that might otherwise be avoided. The National Institute for Occupational Safety and Health (NIOSH) was established to conduct thorough research on occupational safety and health to determine what risks existed and how they might be mitigated through regulatory action. The Occupational Safety and Health Review Commission (OSHRC) was formed as an independent agency to arbitrate any enforcement action brought against employers by OSHA and to provide a standardized procedure for challenging the other agencies’ findings. While all three agencies worked toward the same goal, OSHA quickly took a leading role in the development of nationwide regulations. At its inception, the agency covered over 56 million workers at 3.5 million different workplaces by conducting physical inspections and bringing legal action against employers that failed to adequately protect their employees. Since then, OSHA has helped to reduce the rate of serious workplace injuries and illnesses from 11 per 100 workers to 3.6 per 100 workers in 2009. To understand how this reduction was accomplished, it’s important to fully comprehend what OSHA actually does in its line of work. Workplaces have continued to evolve since OSHA was founded, which has forced the agency to refine its standards and come up with new enforcement strategies. Initially, the agency focused on problem industries like manufacturing and large-scale construction, but it has changed its approach to instead pinpoint environments with high injury and illness rates. OSHA’s regulatory activities typically fall into three broad categories: education, compliance, and enforcement. OSHA’s training initiatives, compliance standards, and enforcement actions have helped to protect U.S. employees from dangerous working conditions for over 40 years. Today, the occupational injury rate is 40 percent lower than it was when OSHA was founded, and workplace fatalities have dropped 60 percent. 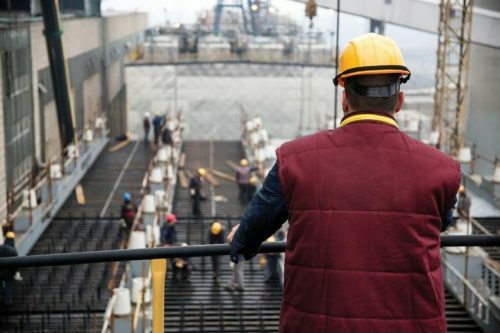 Despite this significant improvement, OSHA’s work is still as important as ever, and the agency relies on qualified health and safety professionals to maintain the positive trend. OSHA offers a variety of career paths for interested public health professionals, with positions ranging from compliance educator to on-site inspector. To qualify for a position with OSHA, you must have a formal education in occupational health and safety or a related field and a master’s degree may be required for advanced positions. At Regis College, we help individuals who want to pursue a career at OSHA by providing the skills and expertise they need through our online Master of Public Health program. The online degree features a health policy and management concentration that includes 14 specialized courses which total 42 credit hours.